A new approach to analyzing paleo-climate reconstructions of the El Niño Southern Oscillation (ENSO) phenomenon resolves disagreements and reveals that ENSO activity during the 20th century has been unusually high compared to the past 600 years. The results are published in Climate of the Past by a team of scientists from the University of New South Wales, the University of Hawaii International Pacific Research Center and the NOAA Geophysical Fluid Dynamics Laboratory. El Niño events can wreak havoc across the globe, spawning floods or giving rise to droughts in many regions of the world. How ENSO behaves as a result of a warming planet, however, is still uncertain. One window to determine its sensitivity to climate change is a look into the past. Because the instrumental record is too short for getting a reliable picture of natural variations in ENSO magnitude and frequency, climate scientists rely on geological and biological clues, such as from lake sediment cores, corals, or tree rings as proxies for past ENSO behavior. The problem has been, though, that reconstructions of ENSO from such paleo-proxies have not been telling the same story. Some of these discrepancies in ENSO reconstructions arise because the methods typically applied to combine individual paleo-proxy records do not handle small dating uncertainties amongst the proxies well. The usual approach has been to combine the individual ENSO proxies and then to calculate the activity of this combined ENSO signal. McGregor and his team found that by turning this analysis around -- first calculating the activity of ENSO in each of the individual paleo-climate reconstructions and then combining the activity time series -- yields a much more consistent and robust view of ENSO's past activity. The scientists confirmed this new approach with virtual ENSO data obtained from two multi-century-long climate model simulations. 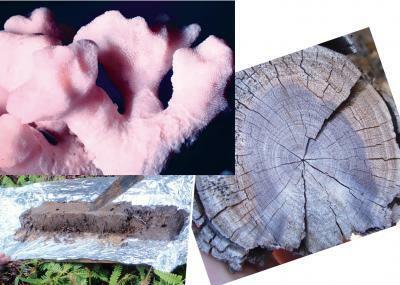 Corals, tree rings, and sediment cores serve as proxies for El Niño sea surface temperature. Applying their improved method of reconstructing ENSO activity by synthesizing many different existing proxies and comparing these time series with instrumental data, the scientists found that ENSO was more active during 1979-2009 than during any 30-year period between 1590 and 1880. "Our results represent a significant step towards understanding where current ENSO activity sits in the context of the past." says Axel Timmermann, professor at the University of Hawaii and co-author of the study. "Climate models provide no clear indication of how ENSO activity will change in the future in response to greenhouse warming, so all we have to go on is past records," explains McGregor. "We can improve the projections of climate models, however, by selecting those that produce past changes in ENSO activity consistent with the past instrumental records. "Our new estimates of ENSO activity of the past 600 years appear to roughly track global mean temperature," says McGregor, "but we still don't know why."